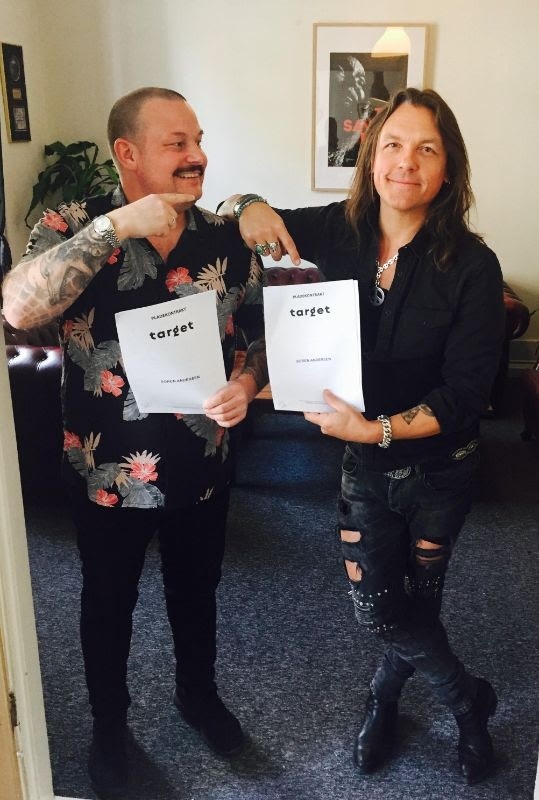 (L-R) Michael H. Andersen (CEO Mighty Music/Target Group) and Soren Andersen at the Target Group office in Copenhagen, Denmark. Danish guitar extraordinaire Soren Andersen signs international record deal with Mighty Music. His new solo album, “Guilty Pleasures“, will be released in September 2019 on LP, CD and digitally.